El Pollo Loco is a mid-sized Southwestern restaurant chain that has more than 430 operating locations. They sell Mexican food at reasonable prices and offer an extensive, fresh and exciting menu. El Pollo Loco, which is Spanish for “The Crazy Chicken”, have dine-in, take-out, and drive-through locations across North America and further afield. If you like Mexican food that is authentic and made with the freshest ingredients, then El Pollo Loco could be the answer. El Pollo Loco is similar to Chipotle, Del Taco and others in many ways, but it’s smaller, quainter and, as far as many of their customers are concerned, better. El Pollo Loco is one of the few Mexican restaurants that has actually succeeded in Mexico. Notoriously, this is a market that Taco Bell has failed in on two separate occasions. But El Pollo Loco have had a little more luck. In fact, the El Pollo Loco chain was actually launched in Mexico. So if it hadn’t enjoyed that success, then it might not have gotten off the ground and it probably wouldn’t exist today. The first restaurant opened in 1975 in Sinaloa. In the next 5 years, it was popular enough to warrant the opening of further restaurants, after which El Pollo Loco spread throughout the northern parts of Mexico. In 1980, they decided to try and break into the United States, and it was a good thing they did. The first El Pollo Loco US restaurant was opened in Los Angeles, California, in December of that year. It was a tiny restaurant, yet it proved to be hugely popular. This was followed by the creation of many more El Pollo Loco restaurants in the United States. By 1983, there were 19 US locations in total, all of which were then purchased by Denny’s. This was when El Pollo Loco split, with the founder operating the locations in Mexico, and with Denny’s taking over the ones in the United States. 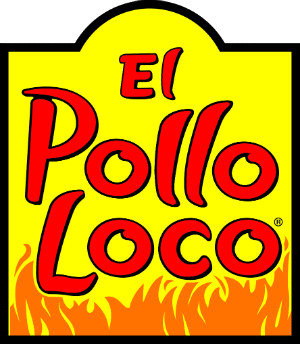 The El Pollo Loco brand continued to grow in both countries after this and today there are more than 430 of them in total. In many ways El Pollo Loco menu is a combination of a fast food chain and a fine dining restaurant. There are three-course meals, family meals and more. It’s all about chicken here, of course, and that can be seen in many of their dishes. In the early days, the menu consisted of just a few items, all of which contained chicken. These days there are dozens to choose from, and there are also some options if you don’t like this white meat. El Pollo Loco cater for special diets and there are some vegetarian options as well. However, the vast majority of this menu is aimed at people who enjoy chicken and seafood. In fact, even their salads are loaded with poultry and fish! There are some bean burritos and special diet options on the El Pollo Loco secret menu if you’re keen to avoid the chicken and the fish. This secret menu is one of the more interesting ones and includes everything from fish tacos, to boneless chicken, bean burritos and more. If you want to see the El Pollo Loco secret menu for yourself, just click onto our guide. This is updated regularly and if there is a new item, a new trick or a new hack, we will tel you about it. A single El Pollo Loco Chicken Tender contains just over 100 calories, with a 6 piece order coming to 800 calories in total. This sounds like a lot, but you’re getting a substantial meal for that. Just watch out for the dipping sauces, as these are not as innocuous as you might think. There are a number of sauces to choose from at El Pollo Loco, some more calorific than others. The BBQ Sauce is one of the least calorific, with a single serving totalling just 100 calories. But the Creamy Cilantro is a whopping 340 calories, or the equivalent of nearly 3 Chicken Tenders! Some of the healthiest meals on the menu, as well as the ones with the lowest calories, including their Flame Grilled Chicken, some of their bean sides and their Tortilla Soup. If you’re not watching your weight, then you might want to consider the Ultimate Double Chicken Tostada Salad. At over 1,000 calories, this delicious feast is sure to fill you up for the rest of the day. To learn more about El Pollo Loco nutrition, checkout our updated guide and nutrition table. El Pollo Loco prices are generally on the low side. You can get a good meal for just a few dollars and a veritable feast for less than $20. There are Starters, Mains, Sides, Drinks and Desserts. A small soup to start will set you back $2.99; a three piece Chicken Combo main is between $6 and $9; and the burritos begin at just $4.99. If you have the whole family along, then be sure to check the Family Menu. Here you can feed a sizeable family with a sizeable meal, all for less than $30. The vast majority of El Pollo Loco restaurants are in North America, and many of these are focused in the Southwestern United States and Mexico. There have been attempts to spread the brand across the US, but these haven’t proved to be very successful. Restaurants have opened everywhere from Atlanta to New Jersey, but all closed within a couple of years. 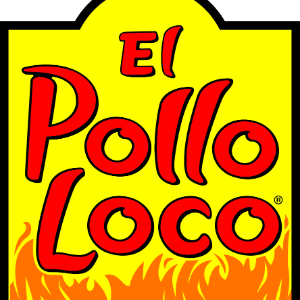 As it stands, El Pollo Loco can only be found in the states of California, Utah, Texas, Nevada and Arizona. There have also been some international locations, some more successful than others. These are focused in the east-Asian market, where many US chains have succeeded in the past. El Pollo Loco store hours may change from location to location, and they will certainly change during some major holidays. However, they generally open from 10:00am until 10:00pm, and this is the case from Monday to Sunday. You will be served if you visit during these times and you can also go through the Drive-Thru at these times. But if you want to dine-in, you’ll have to arrive a couple of hours before closing time as the dining area closes before 9:00pm.